Train Your Toes & Run Faster! “A cue I’ve been using a lot lately is to pretend you’re running through wet grass, trying to keep your toes dry,” says Matt LoPiccolo, an assistant coach at ZAP Fitness-Reebok, a training centre for professional runners that hosts camps for athletes of all levels. 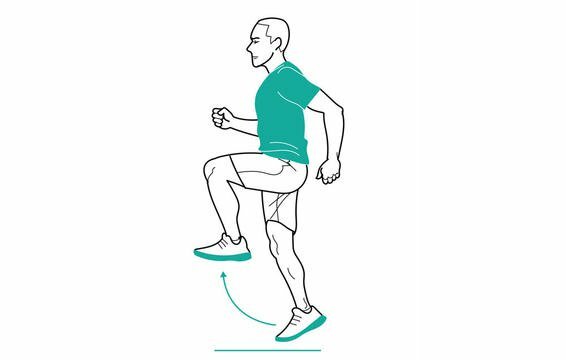 This simple visual prompts runners to pull their toes up, as if to keep fresh white kicks clean, and almost immediately improves their mechanics. LoPiccolo estimates that pulling the toes up results in runners spending 1 or 2 percent less time on the ground. That may not sound like much, but over the course of a run, it can add up to seconds, even minutes, shaved off a race time. To flex more naturally, do these drills three times a week, in between warmup and workout. For skips and dribbles, LoPiccolo recommends 2 x 15 meters with a 15-metre run between each. 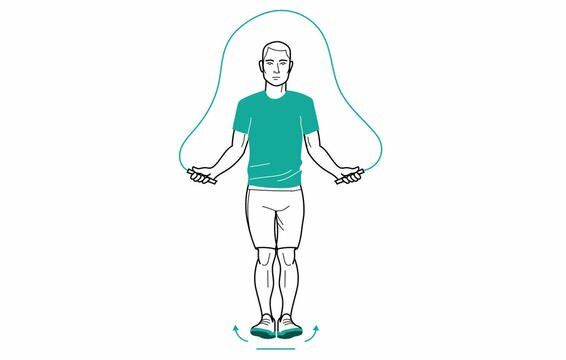 Jump rope for a couple minutes while trying to land mid-foot. When you jump off the ground, flip toes up. 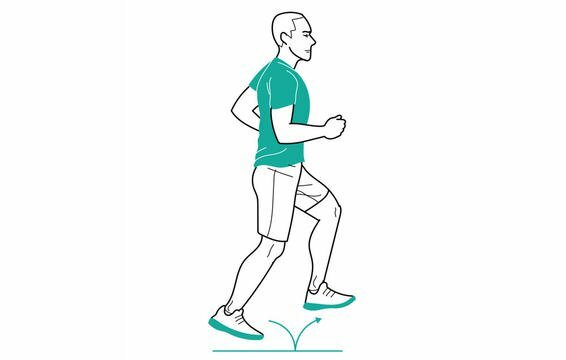 Jog with ankle dorsiflexion, but keep strides short and feet close to the ground like you’re running over 5-10cm “hurdles.” Then try the same drill with 15cm and 25cm hurdles.